This listing is for any length of the Healthy Ears Style of Baltic amber jewelry starting at a 4" baby bracelet all of the way up to a 45" belly necklace. 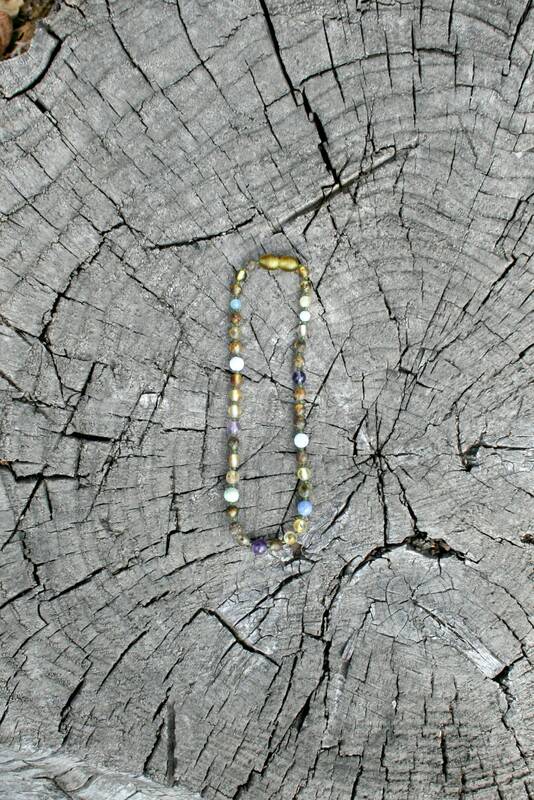 It is strung on a nylon cord and hand knotted between each bead. 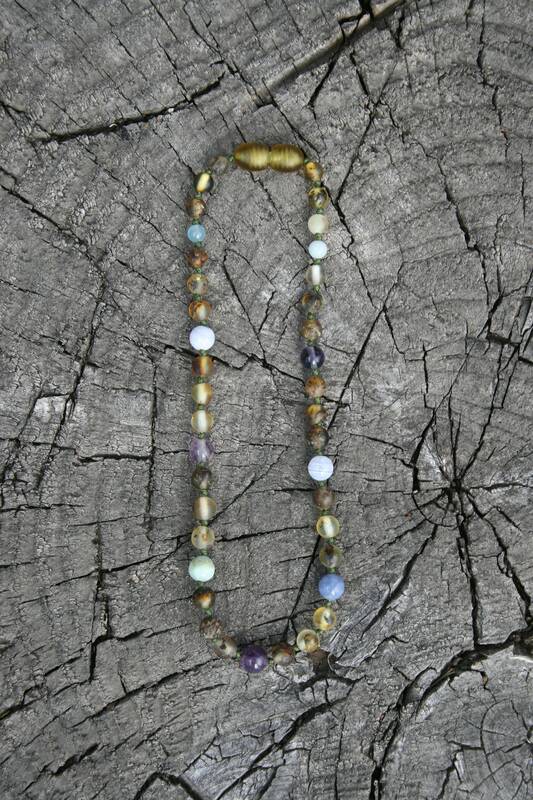 This style is made with green Baltic Amber and these stones are included as well: Aquamarine, Fluorite, Amazonite, Amethyst, and Blue Lace Agate. These stones are known to aid in the health of the ears! 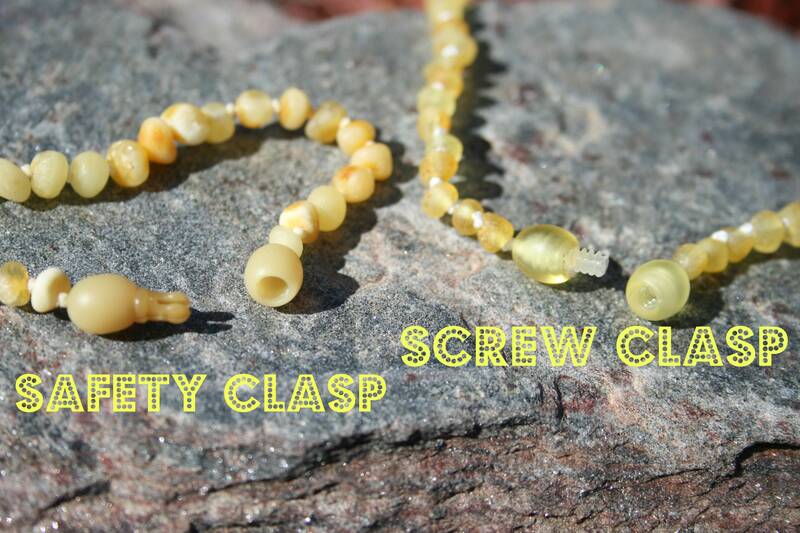 *I can make this style with any other raw color of Baltic Amber if you would like (lemon or milky). Simply write me a note in the transaction letting me know and I will fix you up! We love the necklace, Silas does especially. He loves to play with it. Fast shipping & she’ll help with any questions you may have. Highly recommend! Beautiful necklaces high quality and I got them very quickly!